Multiple blasts rocked Brussels Tuesday, with two explosions at the departure hall of the city airport and a further blast at a metro station in town. So far 34 people are reported to have been killed, with dozens more injured. Follow our new live wire for latest updates. Salah Abdeslam, the prime surviving suspect for November’s Paris attacks, will no longer fight extradition to France but wants to return to his home country to explain himself as soon as possible, his lawyer said on Thursday. “Salah Abdeslam has asked me to inform you that he wishes to leave for France as quickly as possible,” Sven Mary said in comments broadcast on BFM TV, speaking from Brussels. 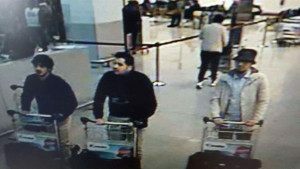 A “third man” seen with two Islamic State suicide bombers at Brussels Airport was the focus of a Belgian manhunt on Thursday after police identified three others, including two brothers, who killed at least 31 people at the airport and on a city metro train. “Ibrahim El Bakraoui and younger brother Khalid were no strangers to police prior to Tuesday’s suicide bombings in Brussels,” reports NBC News. Among their criminal exploits was a 9-year sentence against Ibrahim in 2010 for shooting at the police with an assault rifle during a robbery, and Khalid getting arrested in 2011 for possession of Kalashnikov rifles, plus a 5-year prison sentence for carjacking. The brothers also narrowly escaped capture on March 15 in a police raid and gun battle at a house Khalid was renting in Brussels. “The officials say the fighters have been given orders to find the right time, place and method to carry out their mission,” adds the Associated Press. The first publicly confirmed victim killed in the Brussels attacks is Adelma Marina Tapia Ruiz, a 36-year-old Peruvian mother of twin 3-year-old girls who had been living in Belgium for nine years. She was on her way to New York to visit relatives. Her daughters and husband survived the bombing, with shrapnel wounds, because the girls were playing outside the gate area, and Ruiz’s Belgian husband Christopher Delcambe had gone in search of them. 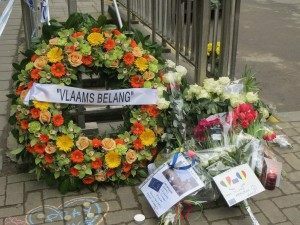 Two more victims were identified soon after Ruiz: Belgian law student Leopold Hecht, 20, who was injured at the Metro station and later succumbed to his wounds, and Olivier Delespesse, 45, a civil servant for the Federation of Wallonia-Brussels, reportedly killed at the Metro station. The UK Independent lists a number of other individuals who are missing and feared dead after the bombings, including computer programmer David Dixon of Nottingham; a 64-year-old Belgian named Berit Viktorsson; 29-year-old Aline Bastin; Raghavendran Ganesan of India; Patricia Rizzo of Italy; 25-year-old Belgian student Sabrina Fazal; and siblings Sascha and Alexander Pinczowski of New York, who were ominously speaking with family members back home when the phone went dead. John Kerry will travel to Belgium on Friday to meet with Belgian and EU officials, a State Department spokesman has said. Reuters is reporting that Turkish Prime Minister Recep Tayyip Erdogan has said one of the Brussels attackers had been caught in Turkey in June 2015, and deported to the Netherlands by his request. Mr Erdogan said Turkey reported this to Belgian authorities in July 2015 and also notified Dutch authorities. He claims Belgium “ignored” Turkey’s warning that the attacker posed a threat. He does not name the attacker. 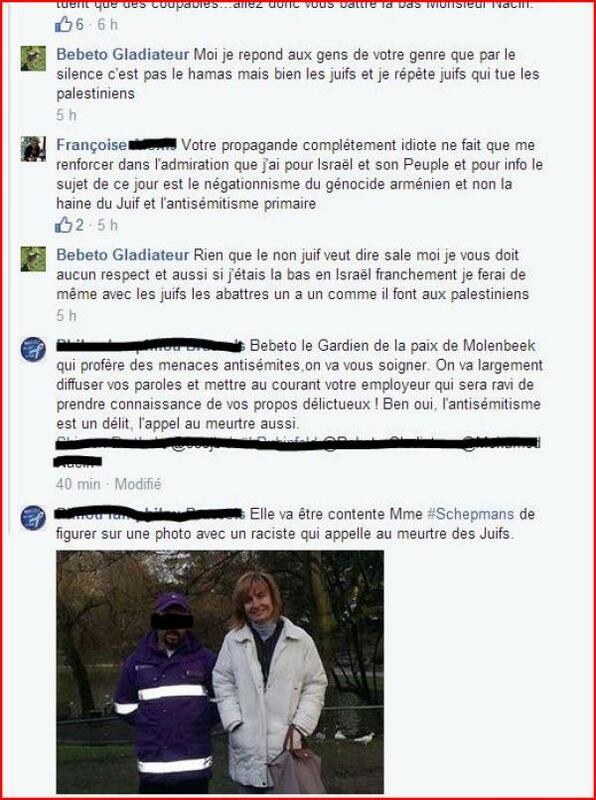 A Belgian municipal security official from the notorious Molenbeek neighbourhood said he would kill “each and every Jew” in a Facebook debate on Friday. The officer was going by the pseudonym Bebeto Gladiateur. 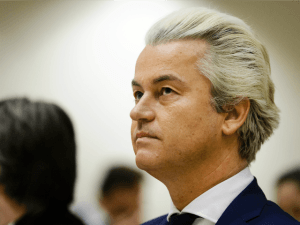 The Belgian media says he is a “guardian of the peace” – an official who maintains security and deters crime but does not wield police powers. Polish PM Beata Szydlo has said her country will no longer take in migrants after the Brussels attacks. “The security services knew, with a high degree of certainty, that attacks were planned in the very near future for the airport and, apparently, for the underground railway as well,” the paper says. Activists on the No Borders / Calais Migrant Solidarity Facebook page have been discussing whether yesterday’s bombing in Brussels was a “good thing,” as the chaos it caused will have enabled illegal immigrants to cross into the UK. Lauvergnac has also used her personal Facebook page to link to two articles suggesting that yesterday’s Islamic terrorist atrocity was a “false flag” operation fabricated by Western leaders, designed to increase support among the public for higher governmental security measures. 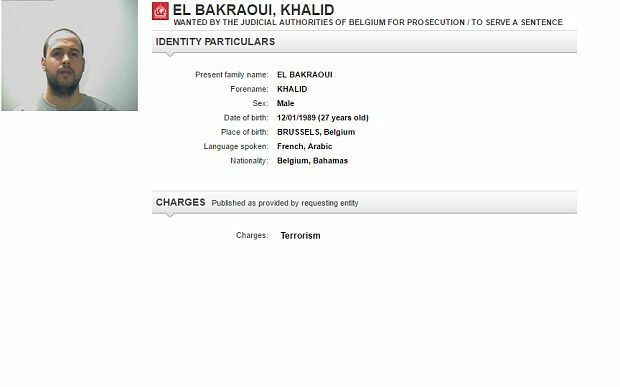 Interpol put out a red notice for Khalid El Bakraoui before the attacks took place, according to the Telegraph. Pascal Boniface, director of French think tank the Institute of International and Strategic Relations, says speaking of a war with the jihadists is a “fundamental mistake”. Interviewed in Belgian newspaper, L’Echo, he says Europe is dealing with CRIMINALS and must be stoical as it faces the risk of further attacks. 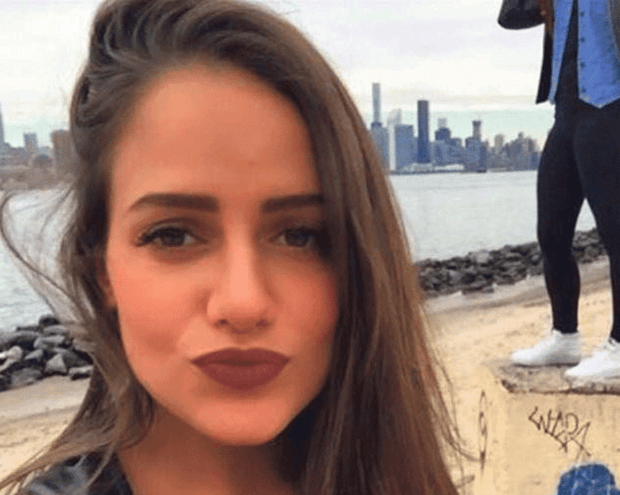 Three victims of the Brussels attacks have been identified. Belgium is a sink hole for terror. It breeds extremists in Muslim enclaves, fuelled by imported imams with the most hellish interpretation of Islam. It welcomed back jihadis from Syria to continue their fight within Europe, to colonise, take-over not integrate. Muslims make up 26 per cent of metropolitan Brussels. The self-styled capital of Europe is now one of the most Islamic cities in Europe. 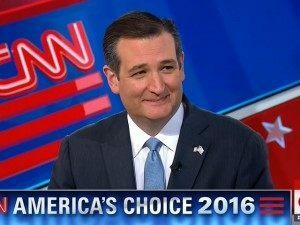 But on June 23 we really do have the opportunity – probably our last – to say never again. To get out, once and for all. 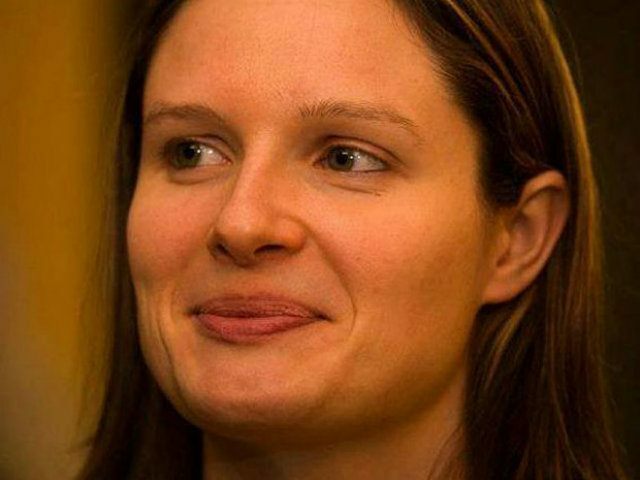 An American personal trainer is fighting for her life in intensive care after being caught up in the Brussels attacks, according to the Telegraph. Karen Northshield was at Brussels airport waiting to catch a flight home for Easter when the suicide bombers struck. Paul Tucker, who works with Miss Northshield, said: “I have been told this morning that Karen is in hospital in intensive care. She is alive but we don’t know her condition or her injuries. Three European Commission staff were injured in the metro attack yesterday, Politico.EU reports. Commission Vice-President Kristalina Georgieva confirmed they were among the victims of the attacks, but did not provide details about the extent of their injuries. Reuters: At a raid in the Brussels district of Schaerbeek on Tuesday night police found 15kg of explosives, 150 litres of acetone, 30 litres of oxygenated water, detonators, a suitcase filled with screws and nails as well as materials, such as plastic boxes, needed to pack up the explosives. Home Secretary Theresa May gave statement to the house confirming the UK threat level “remains severe – which means an attack is highly likely”. She says UK forces have “disrupted seven terrorist plots to attack the UK” in the last 18 months all of which were linked to Islamic State. She confirmed that the government has taken “precautionary steps” including an increase in “border forces” in France and Belgium with an increased presence at airports and ports. Also that police have increase their presence at transport hubs. She stressed neither of those moves was a response to “specific intelligence”. A Dutch man who tweeted “How do you continue teaching when Muslim children are applauding in your class? #Attacks #zaventem” has been warned by local police not to tweet such messages again. Ivar Mol, who tweeted the question yesterday after seeing reports on social media that Muslim children had cheered in response to news of the Belgian attacks, later explained that his question was rhetorical and intended to provoke discussion. He later posted to Facebook: “I’ve just had a call from Paul Depla, mayor of Breda [where Mr Mol lives]. London’s Kings Cross station was evacuated this morning after an emergency alarm was triggered. 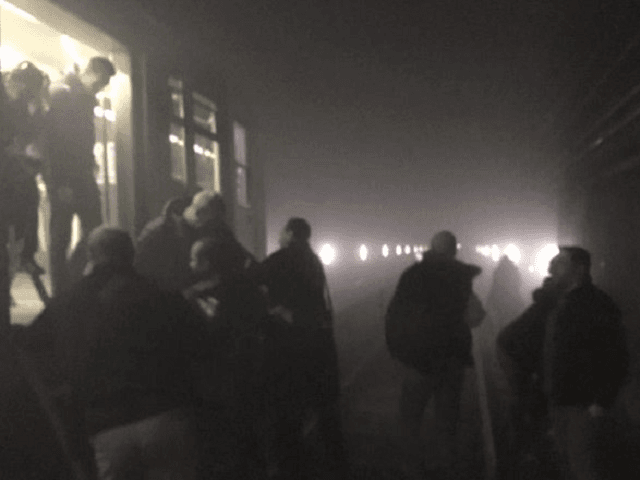 Panicking passengers, with Brussels on their minds, rushed out and the whole station was close. It was later revealed, however, to be a false alarm. Belgian prosecutors say Ibrahim El Bakraoui has been identified as one of two suicide bombers in Brussels airport. He is one of the men wearing one black glove in the now-famous security photo. His brother Khaled blew himself up on the metro train. This means the second black-glove wearing suicide bomber in the photo has not been identified. Lord Reid, who was Labour Home Secretary until just before the July 7 bombings, spoke to the BBC’s Victoria Derbyshire show. “It will happen here because the terrorists only have to get through once. Lord Reid said terrorists were now more likely to focus on “soft targets” like the transport network and crowded public places, because the security services had been so successful at preventing “spectacular” plots, for example, mid-flight attacks on aircraft. The Telegraph is reporting that Salah Abdeslam’s court appearance has been postponed by a day due to security fears. “The fact is that Schengen and open borders have brought terrorism to our doorstep. You cannot have security with open borders. You cannot fight terrorism with free movement of Jihadists and Kalashnikovs. The Royal Belgian Football Association says the planned match against Portugal on 29 March has been cancelled for security reasons. La Libre Belgique said another person had been arrested instead. DH also say the man was misidentified. The BBC’s Warrick Harrington now reports that two women were led away. Brussels attacks: Witness to Anderlecht raid reports two women being taken away by police. “For all of us, March 22 will never again be a day like any other. Lives have been shattered, there are deep wounds, our whole country shares the suffering. He added: “Trending worldwide ……… LOL Western Europe” and, in Hindi, ““Kullu nafsin zaikatul maut” means – “Every soul shall taste death””. His tweets have been retweeted hundreds of times. The British government has just announced that the UK will observe a hastily-arranged minute’s silence at 11am. The British citizen who is still missing in Brussels has been named as David Dixon, a former British Airways employee from Hartlepool. He is believed to have been on the metro train when the bomb hit. “We are concerned about one missing British national and we are in close contact with the Belgian authorities. We are aware of four British nationals who were injured in the attacks three are being treated in hospital, one has already been discharged. DH newspaper says he went to Syria in February 2013, was wanted since December 4. He had been stopped under the false identity of Soufiane Kayal in early September on the Austrian-Hungarian border in the company of Salah Mohamed Abdeslam and Mohamed Belkaïd, a 35 year old Algerian shot by police in Forest. The Belgian was born on 18 May 1991 and a native of Schaerbeek. German press headlines lament the “attack on the heart of Europe” while comments combine calls for stricter security measures with concerns about sacrificing basic freedoms. A commentary in conservative Die Welt criticises Belgium for not raising its alert level until after the attacks and calls for extra funding for a “calm, uncompromising fight against terror”. But centre-right Frankfurter Allgemeine Zeitung in turn criticises those who think the security services could have predicted the attacks, saying that they have an “unenviable task”. “It is a dark day for Europe”, it concludes. The liberal Munich paper Sueddeutsche Zeitung urges readers to remember that most victims of terrorism worldwide are Muslims. Reuters reports that Belgian police have identified two suspected suicide bombers as Khalid and Brahim El Bakraoui. 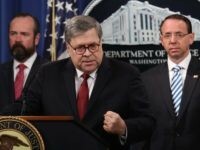 “We had no information about this, but we know that things were moving in Europe, in different countries, in France, in Germany, here,” Jambon said in an interview with RTL television. Fox News quotes US officials saying at least nine Americans were wounded in the Brussels bombings, including a military officer, five of his relatives, and three Mormon missionaries from Utah. “We have been in touch with him and he is grateful and in good spirits… We are thankful for the outpouring of love and prayers from throughout the world, and we pray for all those affected by this tragedy,” said the family of Joseph Empey in a statement. The United States Air Force has confirmed that one of its members, from Joint Force Command Brunssum in the Netherlands, was injured, along with his family. The victims were not named in the statement. The mayor of the Zaventem municipality, Francis Vermeiren, spoke about the Brussels airport bombing on Tuesday, as reported by AFP. ABC News obtained an X-ray image from the Military Hospital in Neder-over-Hembeek in northern Brussels, showing a nail or screw from one of the bombs puncturing the lung of an unnamed victim. Terrorists are fond of packing their bombs with nails, to cause maximum carnage among victims with a cloud of shrapnel. Sky News reports that Belgian authorities are advising against travel to Brussels, a warning echoed by the British Foreign Office. According to the Military Times, at least one American service member and his family were injured in the attack. 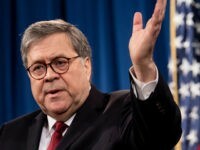 During Tuesday morning hearings in the US House of Representatives, it was said that at least six American citizens were injured, including five military family members. 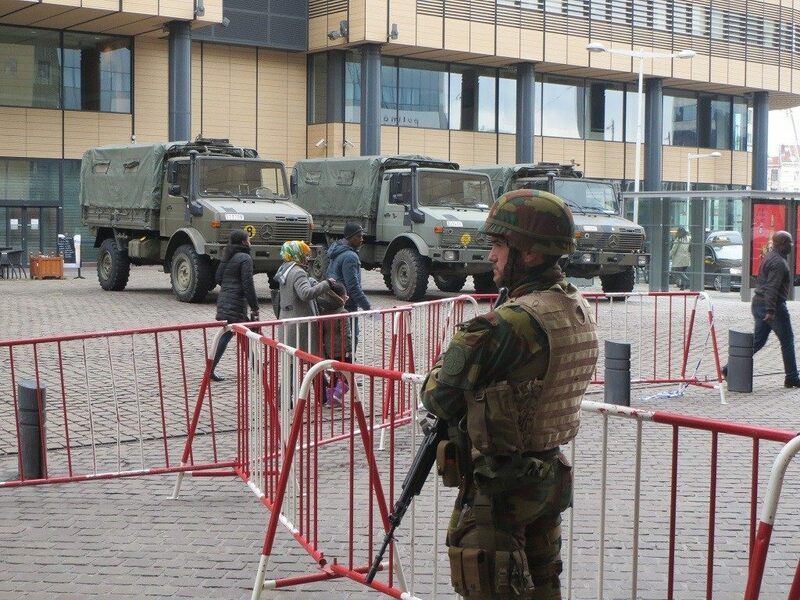 “On Tuesday EUCOM imposed travel restrictions on essentially all troops in Europe, ordering them to stay out of Brussels,” Military Times reported. 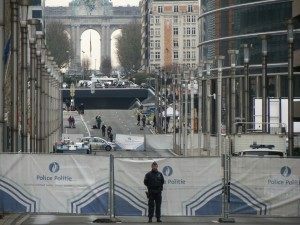 CNN reports Brussels public transit systems are essentially on lockdown, with the exception of a few select tram and bus lines, Eurostar rail service has been suspended until Wednesday, the airport is closed, and flights are being diverted away from Brussels. The British Foreign Office has announced that at least two Britons were injured in the Brussels bombings. 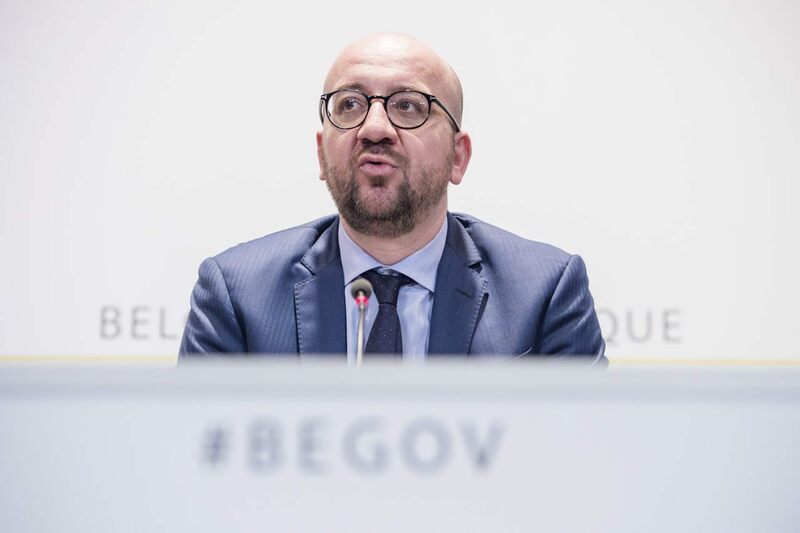 “We are in close contact with local authorities in Brussels following the shocking attacks that have taken place, and we stand together with the Belgian people at this time. 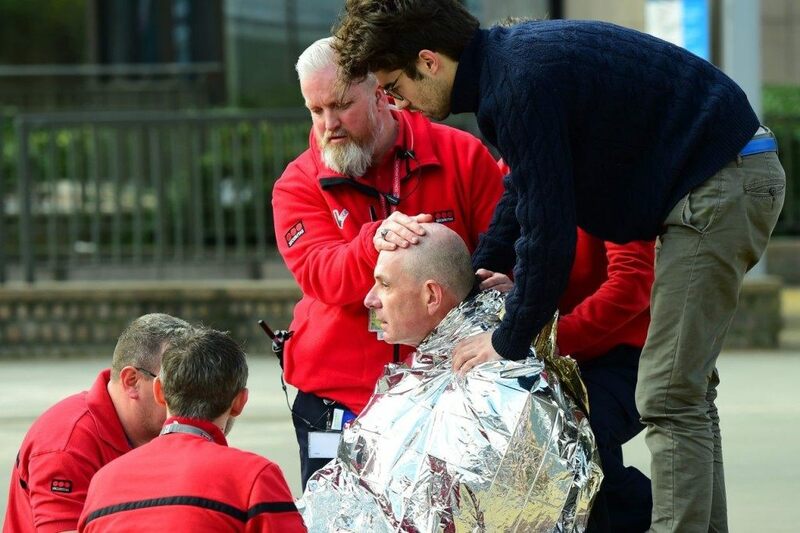 Embassy staff are providing consular assistance to two injured Britons and are ready to support any further British nationals that have been affected. British nationals should follow the advice of local security authorities and check our travel advice for updates,” said the Foreign Office, as quoted by the Telegraph. 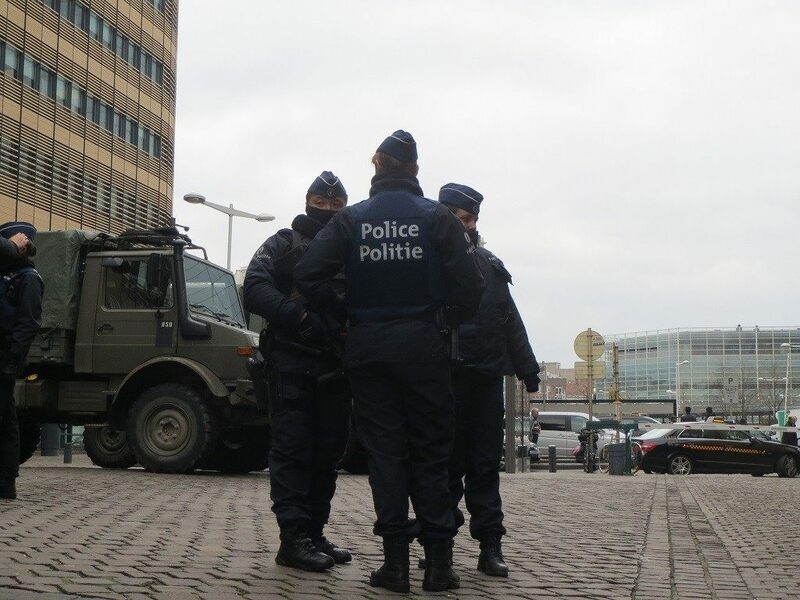 The UK Telegraph reports raids were still ongoing after five hours in the Schaerbeek district of Brussels, which has “emerged as another jihadist hub,” alongside the infamous Molenbeek district. “Schaerbeek, in the north-east of the Belgian capital, is the site of the Paris bomb factory discovered a month after the November 13 attacks in the French capital, and it is the childhood home of the suspected bombmaker, Najim Laachroui,” the Telegraph reports. It is hypothesized that Laachroui, who received his bomb training in Syria, may have been the man led away by police earlier today, and might be the man in the light-colored jacket depicted in security camera footage from the Brussels airport. “If I become Dutch Prime Minister next year I’ll crush Islamic terrorism, close our national borders and De-Islamize The Netherlands,” said Dutch Party For Freedom leader Geert Wilders on Twitter Tuesday afternoon. From NBC News and CNN come beautiful shots of the Eiffel Tower lit with the colors of the Belgian flag, in solidarity with the people of Brussels. 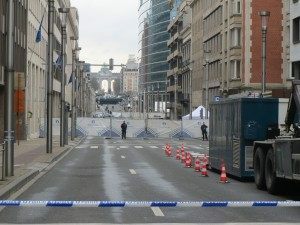 The Associated Press reports that Belgian prosecutors say “a new explosive device containing nails” was found during a Brussels search operation. This was evidently the raid reported by the UK Telegraph, at an address in the Schaerbeek neighborhood, as police searched for “the man in the hat and light-coloured jacket shown in the photograph of the three suspects at the airport.” An arrest was made on the premises, but it’s not known if this was the man from the photo. Sky News reports an ISIS flag, and some sort of “chemical products,” were also recovered in the raid. 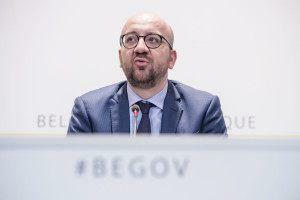 Belgian Prime Minister Charles Michel mourned the “broken lives in full flight… cut down by the most extreme barbarity” at a press conference on Tuesday afternoon. “I want to tell those who have chosen to be the barbarous enemies of freedom, democracy and fundamental values that we will remain united, together and totally mobilised, with a deep pain in our bellies and our hearts but the total determination to protect our freedoms, to protect our way of life,” he continued. You’ll notice two of the suspects are dressed almost identically, including wearing gloves on one hand but not the other. Belgian police are particularly keen to find this man. 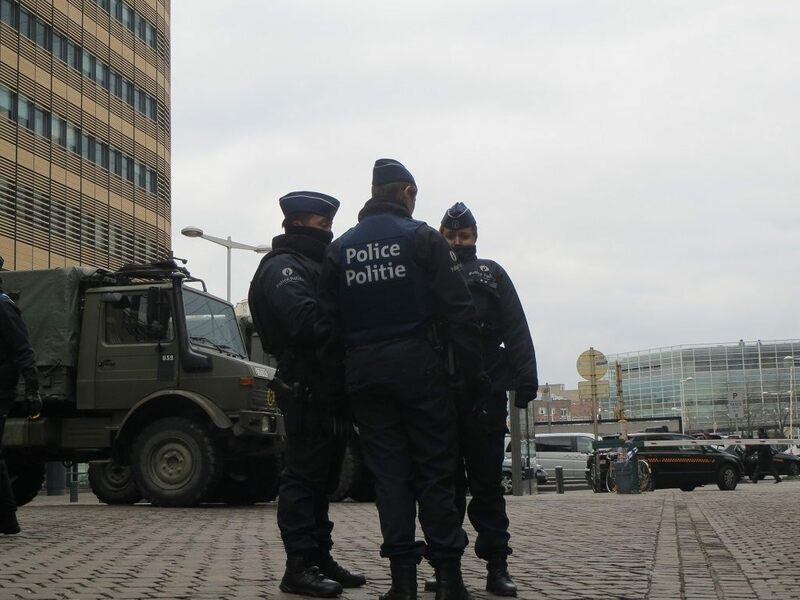 The Telegraph is reporting that police raids are currently underway in Brussels. 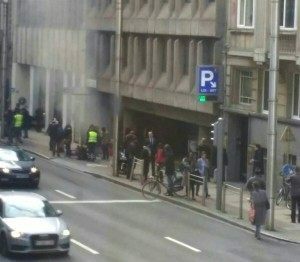 It was only a matter of time before Brussels got the suicide-bomb allahu akbar treatment, as the Belgians knew full well. Part of the city – especially Molenbeek – is a cesspit of Islamic extremism. The authorities have been content to let such areas fester and until recently the police were noticeable by their absence. Quite aside from the Isis-inspired suicide bombers, a whole crescent (suitably enough) along the north-west seaboard of Europe has proved fertile ground for the Arab European League, a violently anti-Semitic and anti-western Islamist movement which has attracted scant attention, despite its typically vile programme. From Lille in the south, via Brussels, Antwerp, The Hague all the way to Rotterdam, whole towns and suburbs have Muslim populations in excess of 40 per cent. 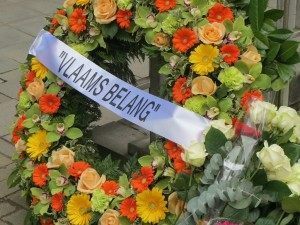 Political parties which have opposed this colonisation (such as Vlaams Belang) are excluded from government and denied airtime. A third bomb, believed to be a suicide vest, was destroyed at Brussels Airport, the provincial governor of Brussels has confirmed. Brussels Airport will stay closed tomorrow, chief executive of Brussels Airport Company Arnaud Feist told reporters. On behalf of the entire airport community, I would like to extend our warmest condolences to the family and friends of the victims of these cowardly and heinous acts. I would like to extend a heartfelt thank you to the emergency and rescue services, passengers and staff for their compassion, solidarity and help. This is without doubt the blackest day in the history of Brussels Airport. Ce soir à 19 h sur les chaînes nationales : message à la population suite aux attentats de ce matin à Bruxelles. The UN official in charge of aiding Middle East refugees criticised people directing anger over the attacks at those fleeing Syria’s bloody civil war or violence elsewhere in the region. 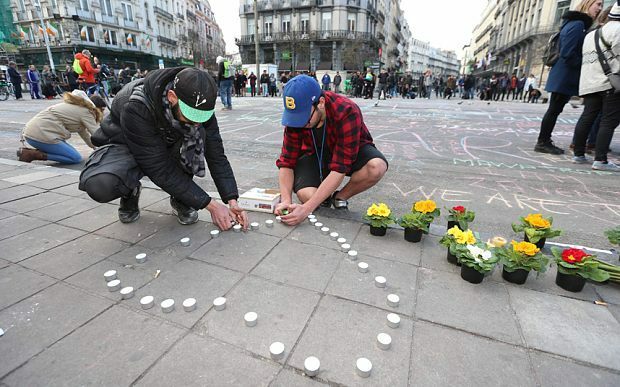 People are leaving flowers, candles and drawings outside the city’s Stock Exchange. A tourist board video which implores “Come to Molenbeek” now seems tragically optimistic in the wake of today’s attacks. Visit Brussels, who were behind the campaign have released a statement on the attacks today saying they express support to victims of the attacks. 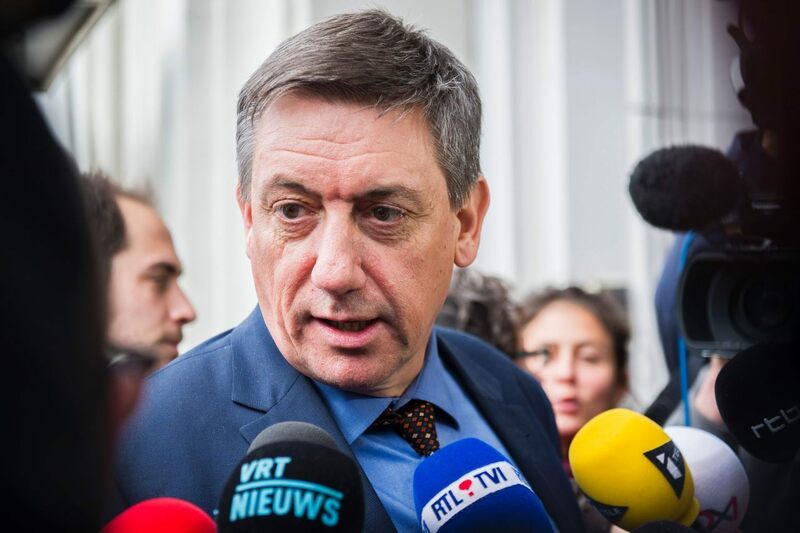 Belgium’s Interior Minister Jan Jambon has announced three days of national mourning. 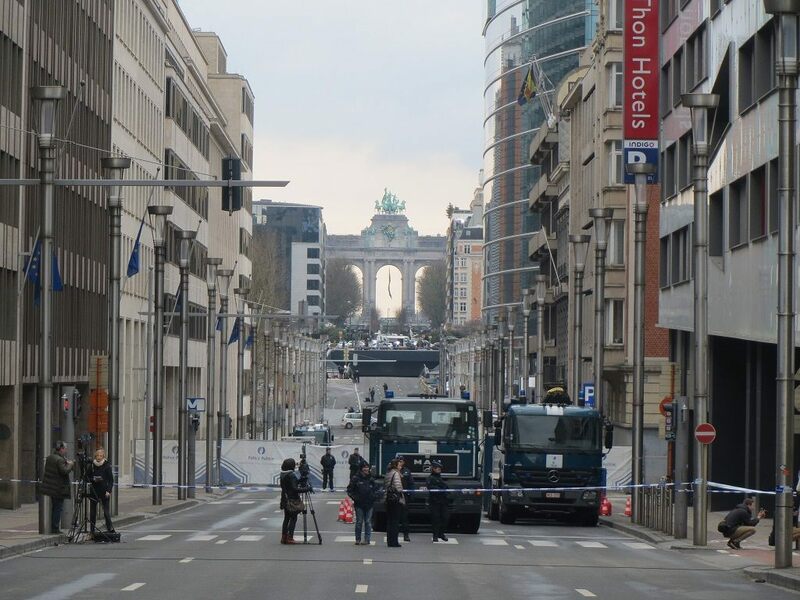 The headquarters of the European commission will be evacuated by Belgian police at 4pm local time, according to VTM news. The Berlaymont building, where flags were lowered to half-mast earlier today, will be emptied so that police can perform a full security sweep of the building. My sympathies wd #Brussels bombing victims! 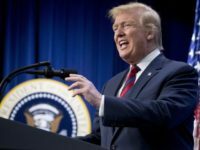 The President reaffirmed the steadfast support of the United States for Belgium, and offered any assistance necessary in investigating these attacks and bringing those responsible to justice. The President reiterated that the United States stands together with the people of Belgium, as well as Nato and the European Union, and once again pledged the full cooperation and support of the United States in our shared commitment to defeat the scourge of terrorism. Learning of the attacks in Brussels, which have affected many people, His Holiness Pope Francis entrusts to God’s mercy those who died and he prays for those who have lost relatives. He expresses his deepest sympathy to the injured and their families, and all those who contribute to relief efforts, asking the Lord to bring them comfort and consolation in this ordeal. 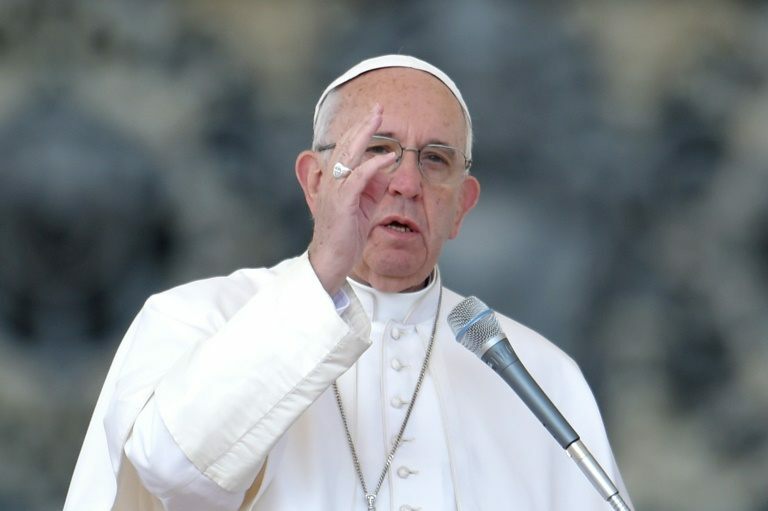 The Holy Father again condemns the blind violence which causes so much suffering and imploring from God the gift of peace, he entrusts on the bereaved families and the Belgians the benefit of divine blessings. 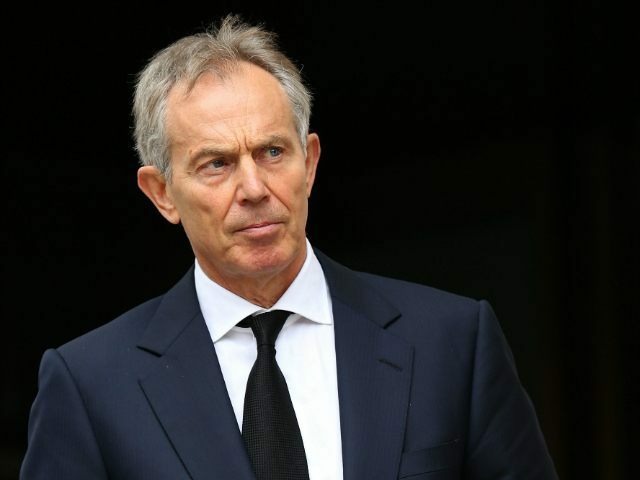 Former Prime Minister Tony Blair has blamed “flabbly liberalism” for encouraging terrorists because Britain’s elite “feels guilty”. The Mail reports that, speaking before today’s attacks, Mr Blair said many politicians are now “unwilling to take people on” because they are scared of looking intolerant. French Interior Minister Bernard Cazeneuve promised “very high security” at this summer’s European football championship in France. 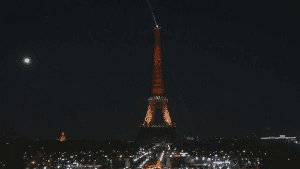 In the wake of the Paris attacks that left 130 people dead in November, tournament organisers had already strengthened security measures and made changes to fan zones. Cazeneuve said the state will contribute up to €2m for video surveillance in the designated areas for the public. “We need to be more determined in the fight against terrorism,” he said. Cavusoglu called for European countries not to release those suspected of being international fighters, as they do not deserve the freedom to travel. “Those who carried out the Paris attacks, essentially, were people that we had caught and handed over to Belgium,” he said. 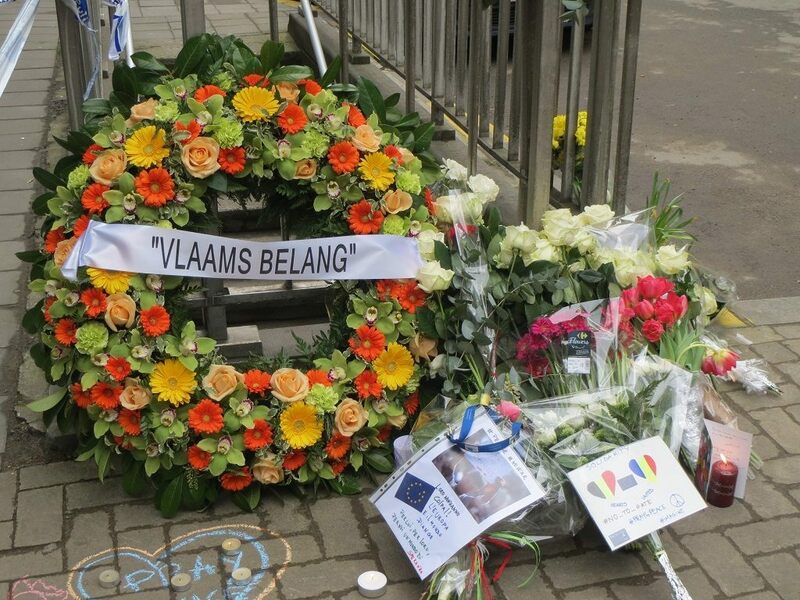 Speaking to AIPAC via satellite, Israeli PM Benjamin Netanyahu sent condolences to the families of those murdered in the terrorist attacks in Brussels. BREAKING: Brussels mayor says at least 20 people died in subway attack near EU headquarters. Report that nuclear plant evacuated, according to Belgian public broadcaster. “I am extremely shocked by today’s events in Brussels. 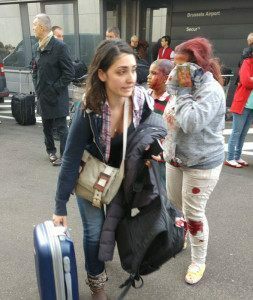 Travellers were murdered in cold blood at Brussels airport, commuters were killed in the metro. Once again, Islamic jihadists hit the free world very hard and slaughtered dozens of innocent people. 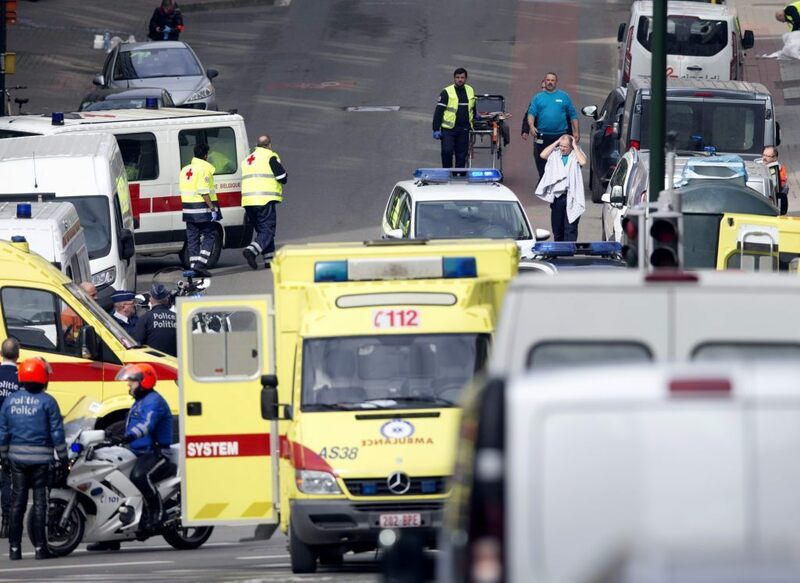 After Paris, Boston, London, Madrid, New York, this time terror struck in Brussels. Next time it might be Amsterdam. 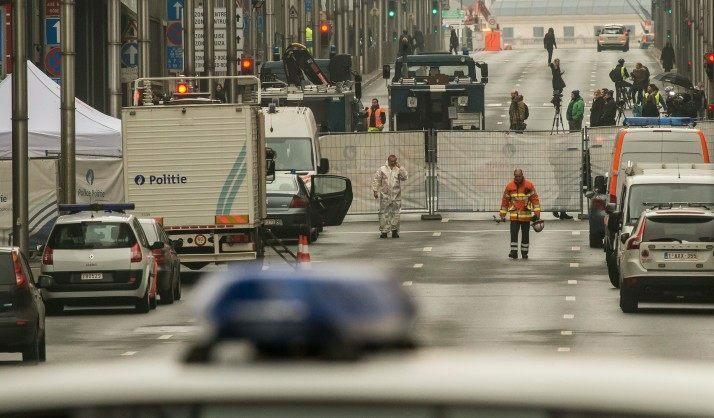 Broadcaster VTM reports that a suicide vest, thought to belong to a third terrorist, was discovered at the airport. Police carried out a controlled explosion. UPDATE: The explosion you just heard was a controlled initiated explosion by the bomb squad. The Belgian Justice department is warning journalists, including foreign journalists, not to report on ongoing police investigations which could put the lives of the public or police officers at risk. 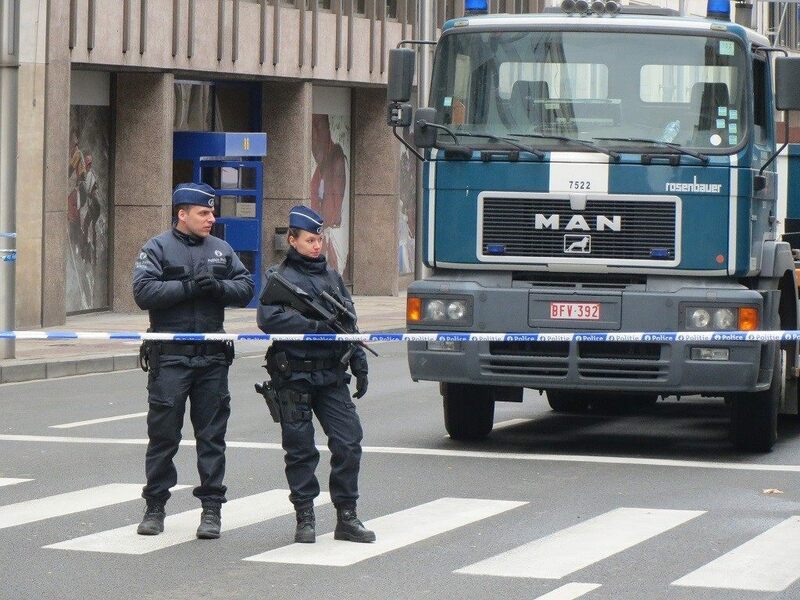 rom BBC: The Flemish-speaking Free University of Brussels (VUB) has said it has received a “specific threat” to its Etterbeek campus in the city and has advised students and staff to remain indoors or return to university buildings immediately. Access to the campus is being restricted by security personnel, the university said on its website. Didier Reynders said the authorities fear that suspects could still be at large. David Garcia told Sky News: “We felt the sound wave of the explosion. The blast – not the noise. But we felt the tunnel pressure change in the tunnel. Then the metro convoy moved into the tunnel. We were stopped there for 15 to 20 minutes. “After a while there started to be some smoke from the tunnel. We could hear some loud noises coming from the front of the train. From outside the train, from the tunnel. MailOnline quotes a witness as saying the bombs were hidden in suitcases that had just been checked in. Boris Johnson says “details are very sketchy at the moment” but suggests there is a British person caught up in the attacks, does not say whether a casualty or a fatality. 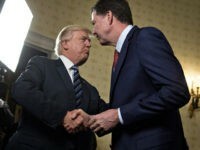 Director of the Henry Jackson Society and one of the world’s foremost counter terror experts Dr. Alan Mendoza spoke to Breitbart Radio this morning, remarking that European governments now needed to allocate additional resources to intelligence gathering, and needed to take action to reassure the public. 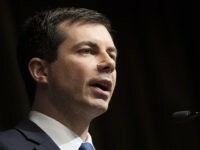 Remarking that the attack is a symptom of failed multiculturalism, Dr. Mendoza said: “the idea of allowing people to come into your society and to act as they please, rather than adapting has failed. We need to say when you come to our society we expect you to act in this way, and we will force you to act in this way. This is what Europeans did with every previous migrant wave, but we have stopped doing it. “Arguments for BREXIT include the idea that you need controls of your borders… We have a problem in Britain where people have become radicalised. To say migration is purely responsible for such attacks is a red herring. 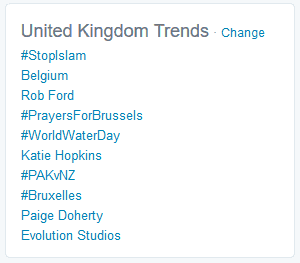 The people who want to attack the United Kingdom don’t live in France or Belgium. They already live here. 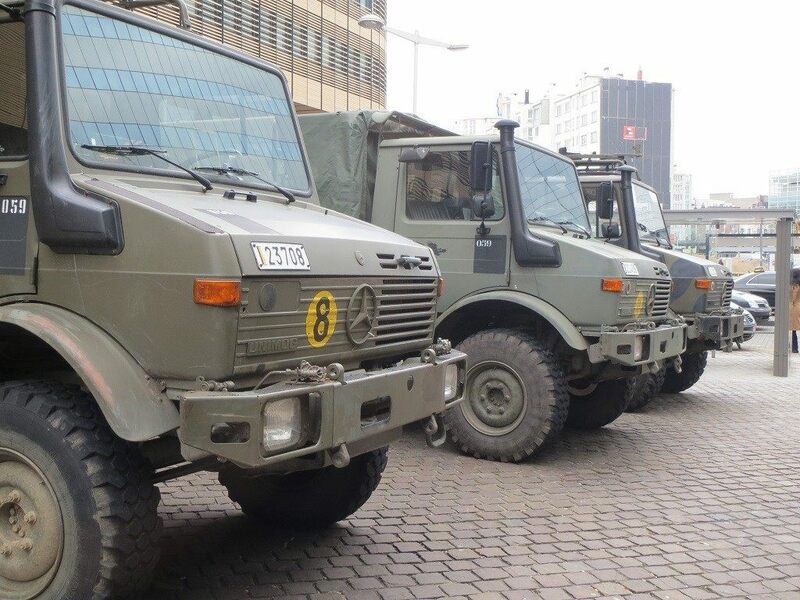 “We need to get every available military option onto the streets to stabilise the situation and to give the people confidence in the authorities. And that means a very harsh response by the authorities to make sure there are no more attacks. What we know is that as soon as one attack is successful another one is planned immediately, as those people move to build on momentum”. 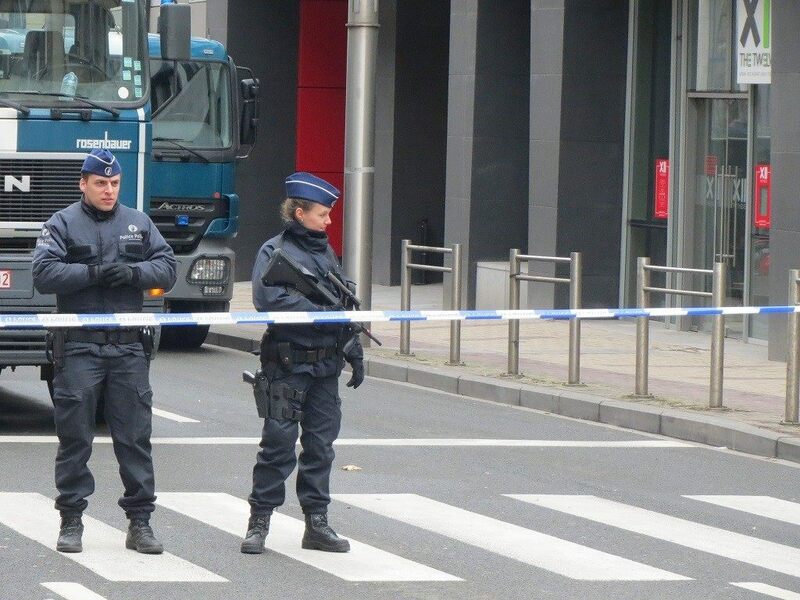 A Kalashnikov rifle has been found in the departure hall at Zaventem airport, according to Belgian news channel RTBF. 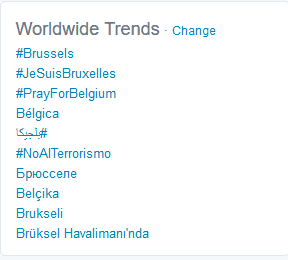 Hashtags #Brussels, #JeSuisBruxelles and #PrayForBelgium trending worldwide on Twitter. Belgian TV station, Ring TV, is appealing to people living near the airport to bring blankets, water, food and essential medical supplies to a local gym being used as a shelter. re reporting that Belgian security forces have tightened security at nuclear plants across the country. “Surveillance is stepped up with added security measures at nuclear plants,” the agency reported. “Vehicles are being checked with police and army on site,” the agency added. wsblad newspaper he was surprised by the nature of the operation: “I had expected that something would happen but not on this scale. 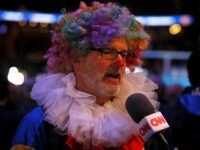 This is really highly coordinated,” he said. Mr Van Ostaeyen said the attacks were most likely a response to the counter-terror operation in Brussels last week and that they were probably “pulled together at very short notice”. 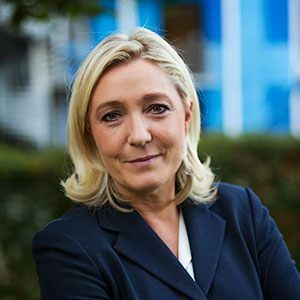 The Front National leader has put out a statement saying her thoughts go out to victims, injured and services mobilised in response. 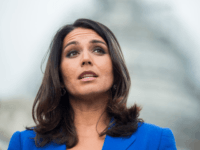 She calls for the immediate “real” closure of Franco-German border, for the safety of all, and reinstatement of border controls everywhere else. She also warns that France has its own “lawlessness” areas like Molenbeek and calls for a vast police operation to start from today to investigate all of these neighbourhoods that exist “on the fringes of the Republic”. Brussels residents told not to use mobile telephones for calls, just text and email, to stop overload. Children being kept in schools and people being told not to move around the city. o jihadist claim of responsibility yet for the airport and metro explosions in Brussels today. However, online supporters of Islamic State group (IS) have praised the blasts and appear to believe that IS was responsible for them. 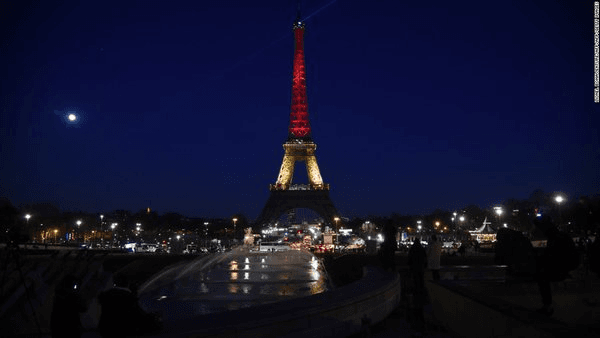 Some have used the Arabic-language hashtag “#Brusselsonfire” to praise the events. IS supporters have in the past used similarly-worded hashtags to celebrate IS attacks, such as “#Parisonfire” to celebrate IS’s 13 November attacks in Paris. If IS is indeed behind the Brussels bombings, it is likely to delay claming responsibility until the operation has been concluded: i.e. that no further attacks are planned and/or its operatives are all dead or have escaped. By contrast, al-Qaeda supporters on Twitter have not been been active in posting about the attacks, largely flagging mainstream media reports instead. BREAKING: Belgian federal prosecutor says at least one airport blast was probably caused by a suicide bomber . Belgian PM Michel says at a press conference: Priority now is to look after injured and wounded as Brussels federal police investigations ongoing, no details of the investigation yet or of nationalities involved. Everything is functioning correctly for the moment and moving forward. w reporting that 15 people died in the Metro attack. UKIP MEP Steven Woolfe was in his apartment across from the Maalbeek metro station when the explosion went off this morning. Speaking to Breitbart Radio, he told the network: “I was in my apartment which is 100 feet from the tube station, just across the road. I heard a loud noise which I initially thoughts was a car backfiring, but then the whole building rocked. “I came out of the building and went across to the tube and there were people moving away very quickly. Belgian police were there in five minutes, an officer ushering us back to our flats, telling us to get indoors. he road cleared an army lorry full of solders passed me, heading toward the scene. “There have been huge failings [in security] and it is unclear that the city is unsafe… if you have a man who has masterminded a plot that has killed so many people in Paris, and he is able to go back to Brussels and live in an area where terrorists are known to live, and the police only eventually catch him by accident because they are tailing someone else this shows a massive security failing by the European Union”. Russian President Vladimir Putin has condemned what he called “barbaric acts” in Brussels, Russian news agency Interfax reports, quoting his press secretary Dmitry Peskov. precaution forces across the UK have increased policing presence at key locations, including transport hubs, to protect the public and provide reassurance. This is not in relation to any specific information or intelligence. 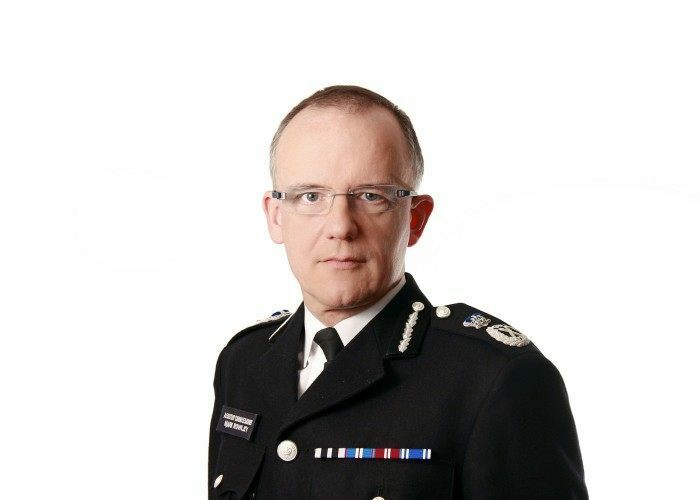 “In London specifically, the Metropolitan Police Service has mobilised additional officers, who will carry out highly visible patrols at key locations around the Capital including the transport network.The number of officers deployed will be regularly assessed.These additional officers are deployed as part of reassurance measures. “The threat to the UK from international terrorism remains at severe as it has been since August 2014, meaning an attack is highly likely. ian police have said 94 returned Jihadists from Syria are living there. This is amazing to me that these people can kill people abroad, come here, and then walk free in the centre of Brussels. “Free movement of people in Europe allows these people to travel across Europe, to move their explosives and guns across the EU. It means free movement for fighters, for guns. It allows them to move at will”. BORIS JOHNSON – stepping up presence at major transport hubs and airports, but as reassurance not because of specific intelligence. French Interior Minister says France deploying 1,600 extra police officers at borders and on transport. I am appalled by the bombings this morning at Zavantem airport and the European district in Brussels which have cost several innocent lives and injured many others. Rescue workers set up a makeshift treatment centre in a pub. Dazed and shocked morning travelers streamed from the metro entrances as police tried to set up a security cordon. re of Islamist terrorism again looms large over a European capital as reports indicate there were shouts in Arabic and shots fired before the blasts in the departure hall. The explosions are now being reported to have been suicide attacks, and occurred adjacent to the American Airlines departure desks. Now 13 are reported dead at the airport, with a further ten at Maelbeek station. The airport is now in a state of lockdown with all traffic both by air and land suspended. know that stopping one cell can … push others into action. We are aware of it in this case,” he told public radio. “The thinking here is that it is some kind of terrorist attack – that hasn’t been verified by any of the authorities here at the airport”.